Is Crush Bad For You? - Here Is Your Answer. Is Crush Bad For You? 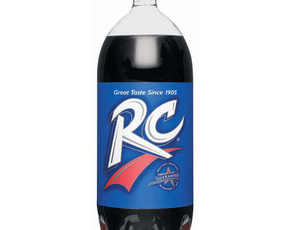 This popular non-caffeinated carbonated soda is loaded with sugar in the form of high fructose corn syrup and contains very controversial artificial colors that have been banned in other countries. 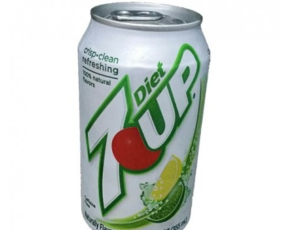 There are no health benefits with this beverage. 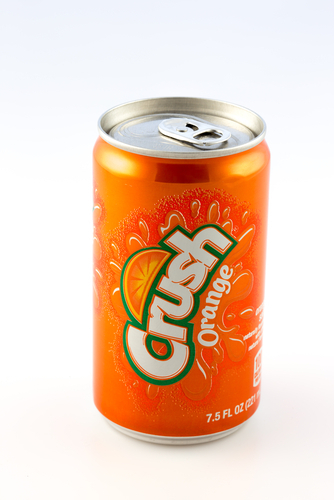 Orange Crush soda was invented in 1911. 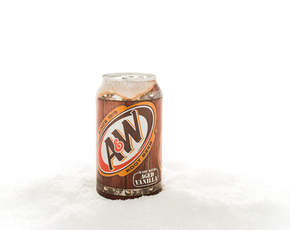 Since that time dozens of flavors have been introduced to the market. Like a lot of sodas, Orange Crush is loaded with high fructose corn syrup (HFCS). HFCS is made from corn starch which is a bunch of glucose molecules linked together. When corn starch is broken down into individual glucose molecules it becomes corn syrup. Enzymes are added to the syrup in order to convert some of the glucose into fructose-another simple sugar that is sweeter than glucose. Because corn is used it is a cheaper way to sweeten products but most of the corn is genetically modified (GMO) which is linked to a whole host of health concerns. Although the FDA regards HFCS as safe there is substantial evidence linking it to the huge obesity issue-especially in the United States. 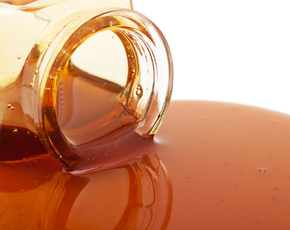 At Princeton University, research validated that all sweeteners are not the same. Rat studies demonstrated that weight gain was significantly higher with ingestion of HFCS compared to table sugar even when the caloric intake was the same. Long-term ingestion of HFCS leads to an increase in visceral fat (intra-abdominal fat) that is linked to metabolic syndrome. Visceral fat is like a bowl of “toxic soup” that sits in the intra-abdominal area and is linked to high blood sugar, high blood pressure, high cholesterol and triglyceride levels and an increased risk of cardiovascular disease. The obesity level, even in children has reached epidemic proportions in the United States and beverages like Orange Crush are contributing to this. The preservative sodium benzoate is another concerning ingredient. Sodium Benzoate is formed from benzoic acid and sodium hydroxide. This synthetic chemical is used as a preservative in various foods and beverages, often in order to prevent spoilage of high fructose corn syrup. While there is some evidence that sodium benzoate may cause hyperactivity in children, the largest concern is its reaction with vitamin C. Sodium benzoate and vitamin C, when exposed to heat or light, can react to form benzene. Benzene is a known carcinogen, causing cancer in humans when exposed to high amounts in the air at various work sites. Strangely enough, sodium benzoate is non-toxic when naturally occurring - however, the synthetic version has been shown to be highly toxic. It has been linked to DNA damage, resulting in, among other things, Parkinson's disease and assorted liver problems. Orange Crush also contains the unnecessary toxic artificial colors of Red 40 and Yellow 6. These dangerous food dyes make unappealing food or beverages look more enticing. They have been found to cause hyperactivity in healthy children and carry allergy and cancer risks as well. The FDA approves these color additives in food, despite the fact that many European companies have discontinued using them. In 2015, Kraft removed its Yellow 6 and Yellow 5 dyes from its popular orange macaroni and cheese dinner in favor of natural coloring agents like paprika and annatto. Hopefully, more American food and beverage manufacturers will follow suit. Last but not least is the ingredient brominated soybean oil. This oil is used as an emulsifier to keep the orange flavoring from separating and floating to the top. This soybean oil is bonded to the toxic element bromine. Bromines are known as endocrine disruptors and animal studies have found that it can cause reproductive and behavioral problems. Bromine can act as a central nervous system depressant and trigger psychological and psychotic symptoms. There are many great alternatives to Orange Crush. Organic juices and natural sodas with no artificial sweeteners or preservatives are a wonderful substitute. And of course, water should always be part of everyone’s daily routine.